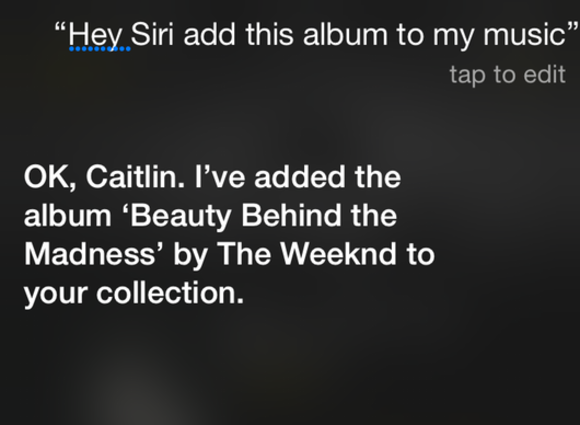 Apple Music's Siri capabilities and iTunes library integration have turned one streaming skeptic into a believer. I love music. While my tastes skew more toward the days when guitar and drum sounds were made with actual guitars and drums, I have a rapacious appetite for music both new and old, and I’m just as likely to be listening to Eminem or Taylor Swift as I am to Led Zeppelin or Pearl Jam. But thus far I’ve resisted the lure of music subscriptions. I’m certainly not averse to digital music: I ran out to buy my first iPod the morning it was available on November 10, 2001, and spent the rest of the weekend ripping my entire CD collection. My iTunes library is approaching the 20,000-song mark, and iTunes Match is easily the best $25 I spend each year. But no matter which service I tried, none of them struck the right chord with me. So, I didn’t expect to become an Apple Music subscriber. When Eddy Cue & Co. unveiled the new service at Apple’s Worldwide Developer’s Conference in June, I barely paid attention. It’s not just that the presentation was a winding, rambling mess—even after I had time to study the features, it just didn’t seem like it was all that different from the ones I had already tried and canceled. Connect just wasn’t very exciting (I’ve actually turned it off), and I couldn’t care less about Beats 1. I expected to sign up, try it out and forget about it until the trial ran out. But I was wrong. 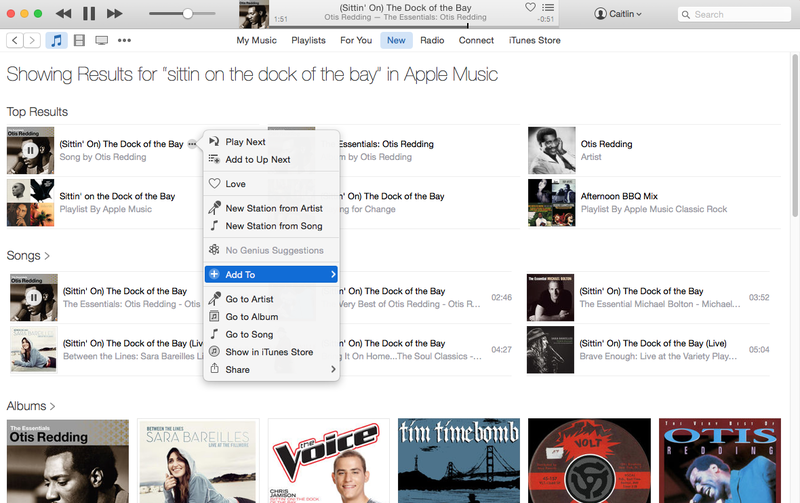 It’s easy to write off Apple Music as a Spotify clone. They both cost the same, offer access to some 30 million songs with offline listening, personalized recommendations, and interfaces that encourage exploration. 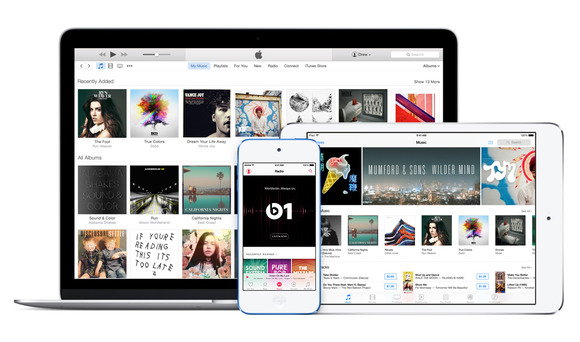 But Apple has done enough with Music to set it apart. There’s the $14.99 family plan, the hand-curated playlists, and the promise of exclusivity, which we’ve already seen from the likes of Dr. Dre and Taylor Swift. But more than this, Apple Music’s best feature is the most basic. The main reason why I’ve never signed up for a streaming service is the same reason Steve Jobs gave for not supporting it: I like owning my music. Even without a physical piece of media to hold onto, my iTunes library is just as important as my record or CD collections once were. And Apple Music’s integration with my existing iTunes library changed my mind about streaming. Managing two libraries in one app really makes you feel like you’re just managing one single collection. When I tried the likes of Spotify, Pandora, and even Beats, it always felt like I was listening in on someone else’s library. The albums I saved and playlists I made were locked away in a separate app, and while I could mirror large chunks of my collection if I wanted, my most prized possessions—bootlegs, imports, and out-of-print recordings—could never be duplicated, so I was forever stuck between my streaming library and my iTunes collection. Apple Music’s library gives me the best of both. With iTunes Match my entire collection was already with me at all times, and Apple Music respects the care I’ve put into building it. (Thankfully I haven’t experienced any of the mismatching issues that other users have experienced.) But at the same time it increases the size of my library by a factor of 1500 tracks, opening it up to an boundless array of genres, artists, and albums that I could never afford individually. And with Apple Music, it feels like I actually own every track (even though I don’t), and that’s a key difference. While separating search results out between My Music and Apple Music can be a little tedious, the merging of tracks between your personal library and Apple Music’s is pretty seamless—you can even update the metadata. I may be technically borrowing the Apple Music albums I choose to add to my music library, but once they’re in, I’m free to edit the metadata as I see fit. I can browse and listen to any of the albums in Apple Music’s library just as I would with Spotify or Rdio, but once I find something I like enough to keep, it’s no different than buying a track from iTunes or ripping one myself. The division between Apple Music and my library only exists if I want it to, and for a music control freak like myself, it’s pure bliss. 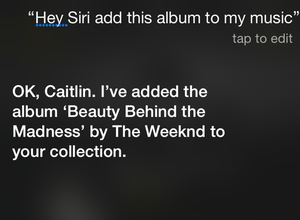 An overflowing, personalized music library might have kept my interest in Apple Music, but what sealed the deal for me for Siri. Over the past few months Siri has become remarkably more useful across all of Apple’s product lines, with near-perfect speech recognition, greater functionality, and a major boost to its artificial intelligence. As long as I’ve been listening to music, I’ve never been able to choose and hear a song so quickly—unless it happened to pop up on shuffle the moment I was thinking about it. Apple Music’s deep Siri integration gives it a tremendous advantage over its competitors, and it could well turn out to be its killer feature as the service expands to Apple TV and future Wi-Fi enabled Apple Watches. 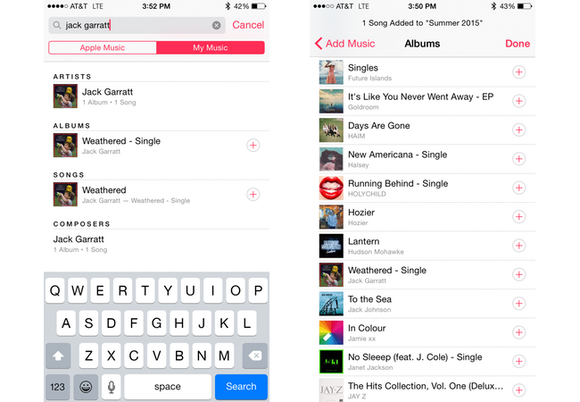 Apple Music’s rollout may have been uncharacteristically clunky and complicated, but iOS 9 has already cleared up many of the major problems, trimming the unwieldy menus and cleaning up the interface in subtle, yet very noticeable ways. Such a speedy turnaround shows that Apple is serious about delivering a top-notch service that continues to mature and evolve. It’s far from perfect, but it’s certainly good enough to get my $9.99. One area I’d like to see improved is searching. While I appreciate the separation between my library and Apple Music’s, searching the two catalogues individually gets tedious. A unified search that simultaneously retrieves songs from both libraries would make finding things that much quicker. And I wouldn’t mind a lyrics feature either. But these things will come. For now, Apple Music has turned me into a believer.